We often don’t realize how much technology shapes our daily lives. A few decades ago, a cell phone was something out of Star Trek. But now new technologies seem less and less like science fiction and more like essential parts of our world. What we don’t realize is how much this can affect our perception. For example, the new Nokia 8 allows you to take a picture of what is in front of you as it also records you and what is behind you. This is called a “Bothie” now adding to selfies, allowing people to take pictures forward and backwards simultaneously. The concept is simple—two lenses. But it blows open our habit of perception. Will we start to perceive like the proverbial teacher with eyes in the back of her head? 3-D printing is another way of seeing in new ways. It incorporates a full-sphere visual of the object being replicated. The blueprint of a hand tool can be sent to the International Space Station, where a 3-D printer creates the tool for astronauts to use. This cuts down on payloads launched and allows for devices to be created as they are needed. But it wouldn’t be possible without the technology that allows us to see in multiple dimensions. Inside the space station, astronauts float and summersault to move about. They tether themselves to a spot with a foot latch to anchor themselves to a place on the cylinder-shaped interior walls. Without gravity, our way of seeing the world changes. When the first crew left earth they were astounded by the sight of our Earth from outer space, it allowed them to see our world in new ways. Even healthcare is rearranging. Robotic assists during medical surgery become a 360-degree eye that can image the space around and under the bones, nerves, tissues, muscles, and organs being operated on. These new ways of recording, seeing, moving, working upend our basic assumptions. We can feel unmoored, as dizzyingly adrift as an astronaut floating in space. The ability to see all around us at once will be an acquired perception, much like a blind person suddenly given sight needs to learn to distinguish the depth of fields, the outline of forms. 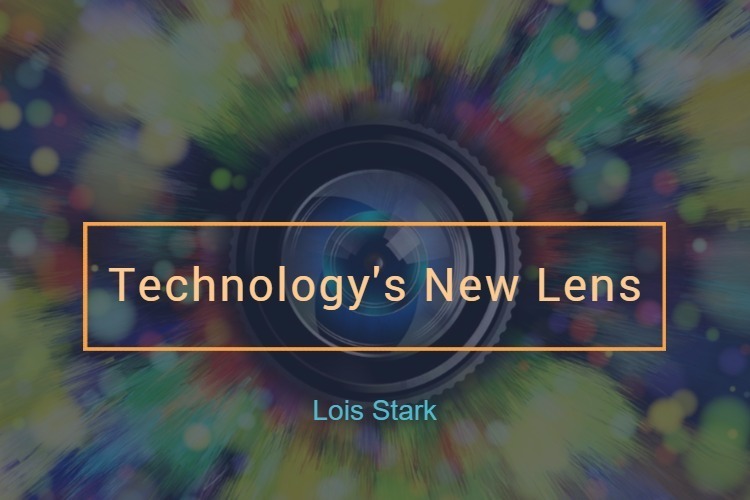 Add virtual reality to these multiple lenses, and the job of making sense out of what is real or imagined, what is forward or back, or what is in around the corner, requires a major adjustment in our senses and how we make sense of the world. The question is: What will you do with this new sight? You’ve heard about trying to put square pegs into round holes. The message is they don’t fit. It’s one of the first games young children are taught—how to distinguish a circle from a square from a triangle. Once we learn this way of seeing, we tend to categorize. We determine the shape of things and figure out what fits where. As useful as this lesson is, it sticks so deeply that we forget there’s more than one way to see things, more than one approach to a problem, more than one way to write an equation. In today’s world, visual information outranks text. Animations can show us dimensional fields. With 3-D printing machines, children can easily imagine multiple dimensions. So let’s teach them how what seems impossible is possible with a new way of thinking, and that there can be multiple correct answers to a question.